Note: Nominations sent in by the general public were taken into consideration when creating this All Time Best Xl. Note: Only players who have represented a Caribbean club or country have been included. Not somebody such as Edgar Davids, for example, who was born in Suriname but played for the Netherlands. Or John Barnes, who was born in Jamaica but played for England. Note: This is all merely opinion. Some readers might agree, some might well disagree. Referred to as Pantera Negra (Black Panther) for his remarkable jumping and athletic ability, Hato will forever remain one of the greatest goalkeepers the Caribbean has produced. Was a proud Curacaoan, turning down professional offers from the likes of Real Madrid, Ajax and Feyenoord during his peak years in order to stay playing domestically. Really came to the fore in a 1946 international tournament arranged by the Curacao FA – his country won every game against Aruba, Suriname, Atletico Juniors (Colombia) and, most impressively, Feyenoord, 4-0. Starred in the 1946 and 1950 Central American and Caribbean Games campaigns as Curacao claimed bronze and gold respectively. Two years later the national team lost to Turkey in the Olympics before earning third place at the 1955 Pan American Games. Hato got a job at the now-defunct ALM Antillean Airlines, raised a family and made over 100 appearances for local side CRKSV Jong Holland. Could have made a much bigger name for himself in Europe – he was definitely talented enough – but instead showed immense loyalty to his homeland. Curacao’s national stadium is named after him as a sign of respect. Born and raised in the French overseas department Guadeloupe, Angloma represented both France (at 1992 and 1996 Euros) and Guadeloupe on the international stage. Played more than 400 games in Europe’s first divisions, winning the 1993 Champions League with Marseille and twice coming runner-up for Valencia in the 2000 and 2001 Champions League finals. Lifted the La Liga trophy with Valencia in 2002, when he officially announced his retirement. Four years later, Angloma came out of retirement to help the country of his birth qualify for their first Gold Cup in 2007. As a 42-year-old he was no longer deployed at right-back but in an advanced midfield position where there was less running involved. Scored in group stage victory over Canada and then in quarter-final win against Honduras as the Gwada Boys amazingly reached the final four. Without question, Angloma was one of the best right-backs in Europe throughout the 1990s and his achievements as a player strongly support that. Jamaica’s record caps holder who was discovered by former Reggae Boyz boss Rene Simoes. Key member of the 1998 World Cup squad having accumulated 270 minutes, acting as captain in 2-1 win over Japan. Spent bulk of his career with Tranmere Rovers in England having made over 400 appearances for them. Tough in the tackle, tenacious and powerful, Goodison is much-loved by both Tranmere and Jamaican supporters. 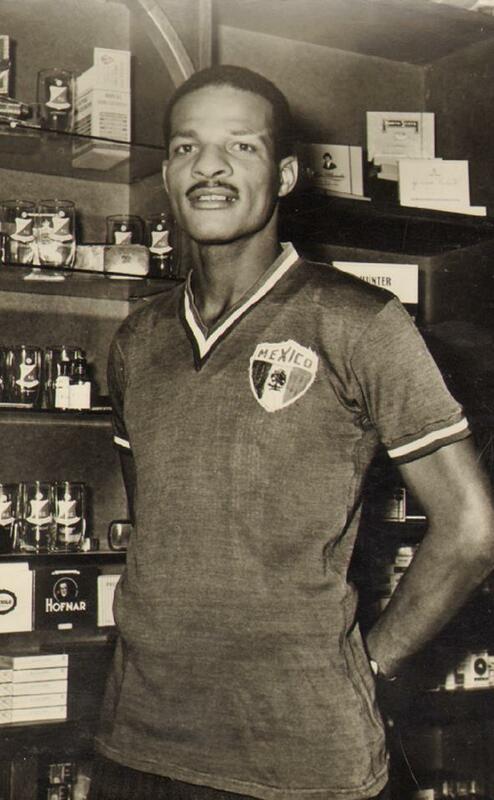 The first Surinamese player and first black player to represent the Netherlands having made his debut in 1960. Only played three times for Oranje, though, due to disagreements with the Dutch FA. 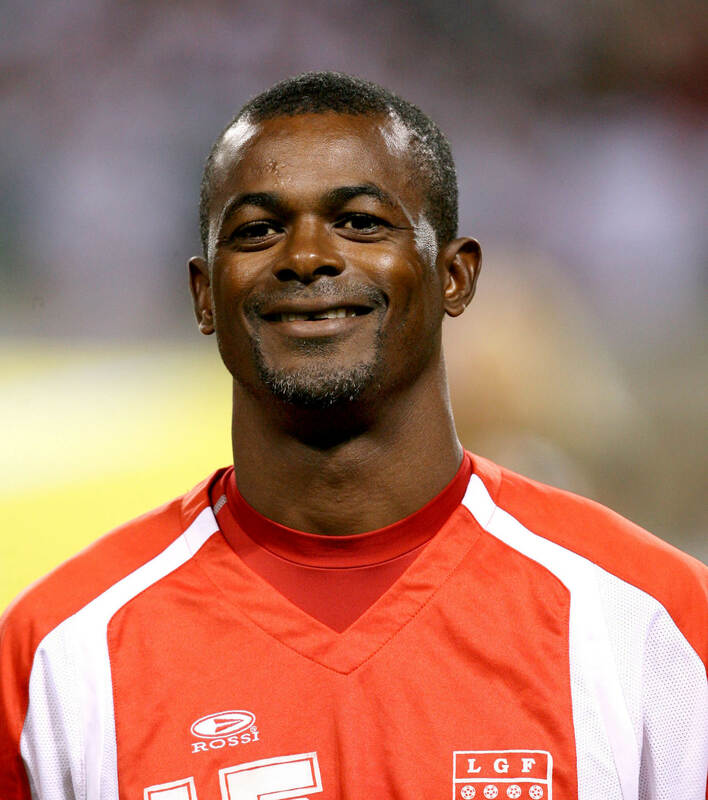 Made over 40 appearances for Suriname and was named the country’s Footballer of the Century in 1999. Started club career with SV Robinhood before moving to Brazilian club América Futebol Clube for six months. Professional football came into place in the Netherlands in the mid 1950s and Mijnals took advantage, signing for Utrecht-based pair USV Elinkwijk (arrived by boat from Paramaribo) and DOS Utrecht in the late 1950s and early 1960s respectively. The journalist Bart Jungmann described Mijnals as a “tall and graceful stopper” in the newspaper de Volkskrant. He essentially paved the way for Surinamese players to join top-level Dutch sides. Now 85, he remains an icon in Utrecht, where he lives, and of course in Suriname. At only 23, some of you may be scratching your head at this decision. But Lawrence has shown fantastic form over the last few seasons and deserves a starting place at left-back. Son of former national team goalkeeper Orville Edwards, he started his career with Harbour View before being snapped up by New York Red Bulls in March last year. Enjoyed a brilliant debut season and shone for Jamaica at last summer’s tournaments – earning a spot in the Copa America Team of the Tournament. For me, he has the ability to make that step up to one of Europe’s top leagues and hold down the Jamaican left-back spot for years to come. The first Jamaican player to play professionally in England and win the English top-flight with Portsmouth in 1948. An exemplary athlete, Delapenha ran 10.1 for the hundred yards several times and excelled at pretty much every sport. Was spotted by a scout whilst playing football for the British army in the Middle East after World War II and subsequently went on trial with Arsenal, only to be turned away. 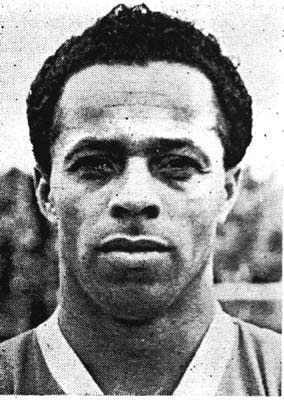 Played for Portsmouth, Middlesbrough – where he scored 93 goals and finished leading scorer in three seasons – Mansfield Town and Hereford United before returning to Jamaica in 1963. Was a short, stocky right winger, capable of beating players and scoring from long distances. Former Grenadian (2003, 2008) and Caribbean (2007) Footballer of the Year. Born in St George’s but moved over to the USA as a teenager. 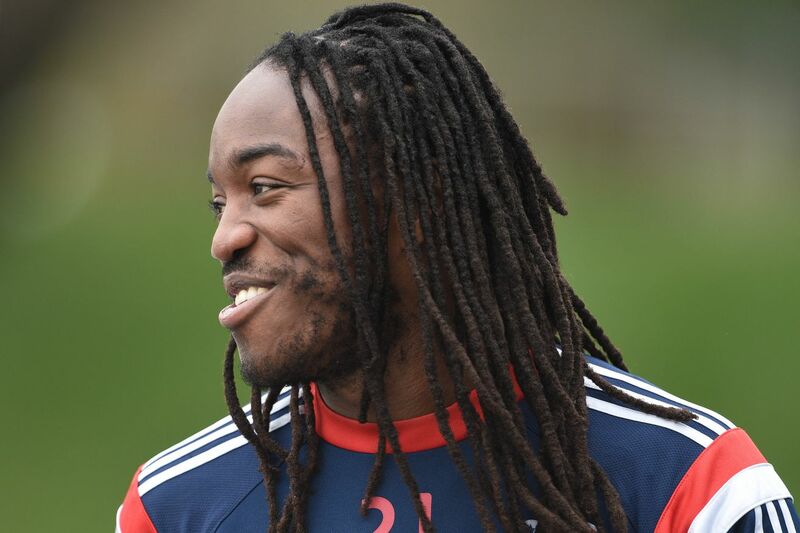 Holds legendary status at New England Revolution, where he made over 250 appearances spread across 10 seasons. Featured in Caribbean Cup and World Cup qualifying games for Grenada, but had to withdraw from 2009 Gold Cup squad due to knee injury. An inspirational leader, strong communicator and excellent passer, Joseph is nearing the end of his career playing with FC Boston in the American fourth tier. Otherwise known as The Little Magician. A diminutive attack-minded midfielder who was blessed with great dribbling and long-range shooting prowess. 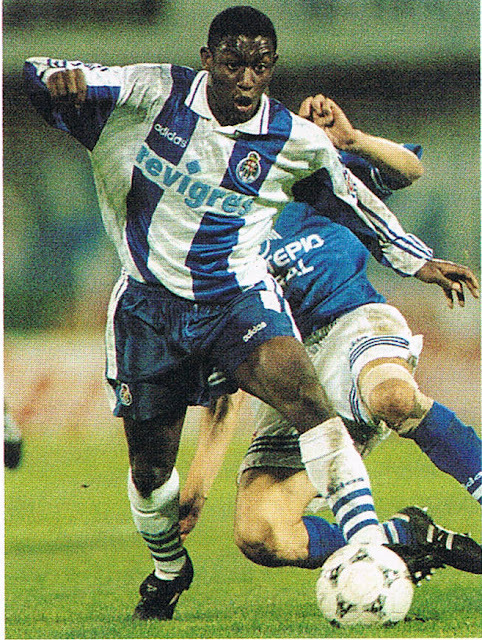 Kick-started career in Portugal with Académica, where he made over 120 appearances, eventually signing for giants FC Porto. There he became the first Trinbagonian player to appear in the Champions League. A terrace favourite in Scotland having played for various top-flight clubs, making the biggest impression at Falkirk. A member of the national setup for just over two decades – suffering 1989 heartbreak with the ‘Strike Squad’ to helping the 2006 team qualify for their first ever World Cup. Briefly managed Trinidad & Tobago and been assistant coach in Scotland and Portugal. Now looking for a head coach role on a permanent, full-time basis. They called him El Romperredes (The Netbuster) because of his fierce left-footed shots. Contributed to Cuba’s 1938 World Cup campaign as Leones del Caribe reached the quarter-finals following a famous 5-4 aggregate victory over Romania in the Round of 16 (he was the oldest surviving member of that ’38 team before passing away five years ago). Tuñas terrorised defences with his explosive turn of pace and devastating left foot – indeed, he actually broke the net when scoring for his first club Juventud Asturiana against Puentes Grandes in 1941. His World Cup performances earned him a move to Mexican side Real Club España where he won the top-flight on two occasions. He settled in Mexico and raised a family there. Without doubt, Tuñas is one of the most talented players Cuba has ever produced. 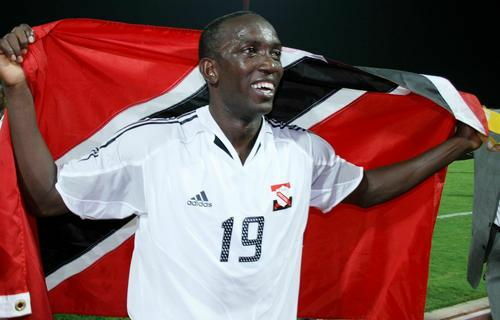 The name Dwight Yorke is synonymous with Caribbean football. Was identified by former Aston Villa manager Graham Taylor on a tour of the West Indies in 1989 and asked to attend a trial. Yorke signed a professional deal and went onto become a star for club and country: spending eight years at Villa, winning the treble in his debut season with Manchester United and captaining the Soca Warriors at the 2006 World Cup. He is arguably Trinidad & Tobago’s most decorated player having lifted the Premier League, FA Cup and Champions League trophies as well as finishing as the Premier League Player of the Year/Golden Boot winner in 1998/99. Much was made of his personal life, but on a footballing level Yorke has to be one of the greatest strikers to have graced English football – simply a goal machine. Arguably the greatest Bermudian footballer to date. 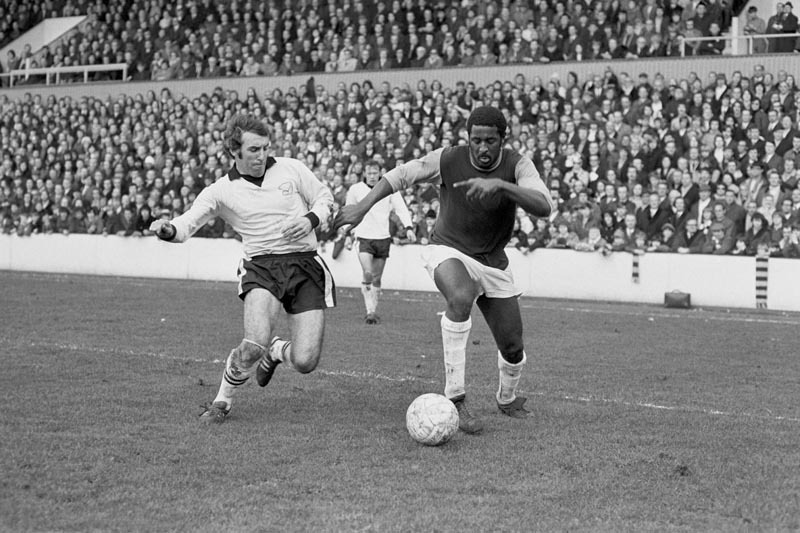 As Tony Hanna points out for West Ham Till I Die, “Clyde Best was one of the first pioneers for the modern black footballer in England.” The Somerset-born striker suffered racist abuse from the stands during the 1960s/70s but his bustling and all-action style made him a firm favourite with the West Ham faithful. Made his Hammers debut aged 18 and went onto net 58 goals across seven seasons. Spent the rest of his career in the USA, playing a combination of indoor and outdoor soccer. Only donned the Bermudian jersey twice, making his debut aged 15. Coached the national team from 1997 to 1999 and was inducted into the country’s National Sports Hall of Fame in 2004. Awarded an MBE two years later for his services to football and the community. A hero as far as people in Bermuda are concerned. Not a bad team, right? 3 Jamaicans. 2 Trinbagonians. 1 Bermudian. 1 Guadeloupean. 1 Surinamese. 1 Grenadian. 1 Cuban. 1 Curacaoan. Thank you for reading! Do you agree or disagree with any of these selections? Who is your favourite ever Caribbean footballer? Feel free to leave any constructive feedback in the comments box below. Meanwhile, you can get in touch with me on Twitter, Facebook and Instagram. Very good selection. I would have Ricardo Gardner. Many UK pundits felt if he was English he would have made their national team when he was at Bolton..
Krmar Lawrence very good player but Riccardo Gardener is a must pick ahead of him, good picks others. Was under consideration but for all his skill and trickery, he didn’t have a great deal of tangible success to show for it. I’m going to put him under the Honourable Mentions heading, Donald.